We are more than ready for this year’s Holiday cheer and glad tidings! Celebrate with 20% off the Jendarling shop with any order using the “Jetset” discount code. All International orders (London, France, Australia + more) receive free shipping as we expand into new territories for 2013. Holiday round-up of best gifts under $200! When I heard the news that one of my favorite and respected business magazines wanted to profile Jendarling, I couldn’t help but feel proud of our humble beginnings. The December 2012 issue of Entrepreneur is a stellar issue with everyone from the Shark Tank dream team of Barbara Corcoran to Mark Cuban featured to a plethora start-up advice and tips. Check out Jendarling on page 80! 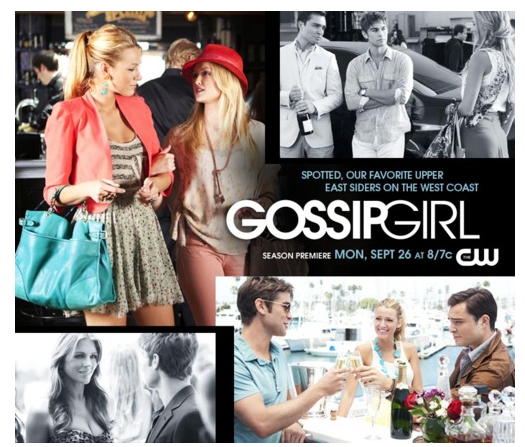 After a month long hiatus, Gossip Girl Season 5 is back on rotation. Jendarling’s edie garment bag received lots of play on Monday’s “Con Heir” in a hotel scene where the real Charlie “Lola” Rhodes was hiding behind a rolling rack of luggage. As William (Billy Baldwin) and Ivy Dickens (previously Charlie Rhodes) walk into the hotel, Charlie paces and hides behind a few Jendarling edie garment bags and a Bergdorf’s bag.